It&apos;s officially summer break for most schools, and I don&apos;t know about you, but my kids are already asking, "What are we doing today?" Luckily, there is plenty to do in Hendricks County this time of year. 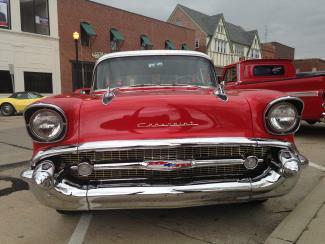 Make your way to the Historic Courthouse Square in Danville for the cruise-in car show. This free, casual event is held on the first Friday each month during the summer and has become quite the tradition. You can read more about this event here. Of course the cars are awe-worthy, but it also provides the perfect opportunity to shop or dine at any of the many awesome small businesses in and around the square. Lots of options. You should probably make a night of it. Calling all antique collectors, deal hunters and "pickers." You won&apos;t want to miss this event. Running from dawn to dusk each day May 31-June 4, countless booths and tables will line various spots of U.S. 40 (also known as National Road) to participate in the far-reaching Historic Yard Sale event. The Plainfield Friends Meeting grounds on U.S. 40 will have a host of booths and vendors set up. Vendors will include traditional garage sale bargains, antique finds, handmade goods and fresh produce. It&apos;s like an open air market at its best. Once again, the awesome parks of Hendricks County are hosting an event that the whole family can enjoy. 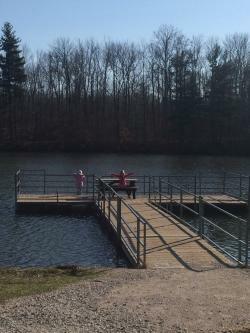 Challenge your fishing skills - or your patience, perhaps - at the Sodalis Nature Park pond in Plainfield on Saturday from 9-11 a.m. This free fishing derby is the perfect opportunity to show your youngest or newbie angler the ropes. A fishing license is not required for this event - which is all the more reason to gather your old poles, bait and tackle and take the family fishing for a few hours. Park Naturalists will be on site handing out awards for the most fish, largest fish and even the smallest fish caught. Yep, this event sounds like summer break to me. After spending the day perusing the yard sale or casting countless lines at the derby -- or both, for you true adventurers -- here are a few ways you can cap off the day. All you need is a blanket or some chairs for this event in Coatesville. At the corner of Main and Milton streets, your whole family can experience the first free family movie in the park this summer from 4 to 8 p.m. on Saturday. I can&apos;t think of a better way to spend a summer evening than under the stars enjoying a good movie with the whole family. Bring your own refreshments and you&apos;re tired children to relax and unwind from the busy summer day. Or, skip the planning and packing of snacks and purchase a few on site. After all, you&apos;re tired, too. If you&apos;re needing a little cool down or have been dreaming of laying in the sun, I have the best news. 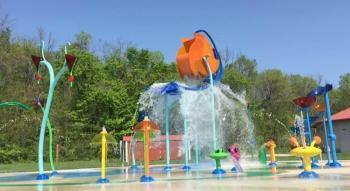 All the awesome water-everythings in Hendricks County are officially open for summer business and enjoyment. Our editor recently wrote about all the wheres and ways you can make a splash this summer. Check it out, here. Take advantage of these activities in Hendricks County or check out the Visit Hendricks County Events Calendar anytime and jump start your summer the right way.